Flashlights or torch comes in different sizes and the majority of the flashlights today uses double A batteries. Typically, these flashlights are considered as a tool, since it can help you navigate through the dark and find certain things. It can also be used when you’re working on something. Typically, AA flashlights can produce a minimum of 50 to a maximum of 100 lumens, which is more than enough to use when you’re walking your dog during the night, or you’re looking for something that you can’t find in the dark. Just like flashlights, batteries also come in different sizes and shapes. Typically, the size and shape will depend on the intended use and the design of the flashlight. Some people think that using a double A battery means the flashlight can only emit an average light. But what they don’t know is that there are now a lot of AA flashlights that can produce long-lasting and robust beams. With the many AA flashlights on the market, it can be challenging to choose one. So I’ve rounded up the top 10 best AA flashlights that you can purchase on the market today. The Zebra H53Fw uses a CREE XP-L2 EasyWhite LED, which comes in an orange peel reflector texture. It has the power to emit 330 lumens with a CRI of 80. This AA flashlight has three brightness level, including a strobe and a beacon mode. The levels are divided into two different sub-levels to even the brightness levels. One of the best things about this flashlight is that out has a light indicator so you can check the battery level of your flashlight. Also, when the flashlight starts to run low on battery, it will decrease the level of light to conserve the light of your battery. Lastly, to ensure that you can use your flashlight easy and quick, the switch is soft to touch. 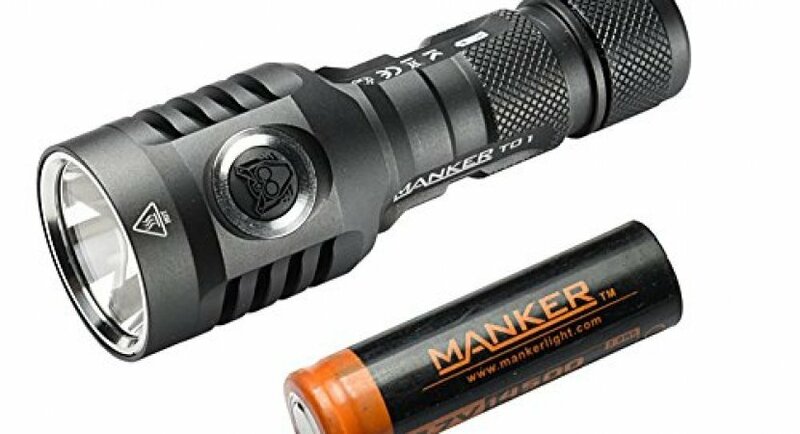 The Manker T01 II is equipped with CREE XPL-HI LED and has a maximum power of 500 lumens. It has a maximum distance of 282 meters for its beam, which means that it can help light your path when you’re walking in the woods or while you’re walking with your dog at night. You have the option to use one 14500 battery or AA batteries. This Manker T01 II has a body that is made out of aerospace grade solid, which feature a finish of HA III MIL-standard hard anodized. With its IPX-8 rating, it can withstand 2 meters of impact. You can also control the power through a switch on the side of the flashlight. Lastly, it has three special modes and four levels of brightness. 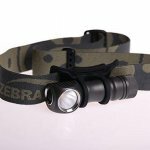 The Zebralight SC5W is equipped with CREE XP-L2 EasyWhite LED with a 3 step MacAdam and CRI of 83 to 85. This flashlight is powered by one AA battery and has the power to emit a total of 550 lumens for a total period of three minutes. Also, this flashlight can give you a neutral white beam and a 10-degree hot spot and an 80-degree spill. One of the good things about this flashlight is that it has three brightness levels, including a strobe and beacon mode. Lastly, you will know when to change the battery as the level of brightness will automatically decrease. The L3 Illumination L11C Nichia uses a 219B LED which has the power to emit a natural light. It also produces a total of 140 lumens and a 92 CRI. This flashlight has a controlled reverse click switch through the three different brightness levels which are offered from high to low. The flashlight starts with Firefly mode to ensure that your eyes will comfortably adapt to the environment that you are in. It is also powered by one double A battery, or it can also use an alkaline or NiMH battery. 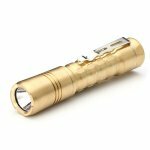 Another good thing about the L3 Illumination L11C is made out of aircraft grade aluminum, which makes this flashlight durable. It also has an anti-abrasive finish to ensure that the finish won’t get damaged. Lastly, it has a clip which means that this flashlight can correctly be secured in your pocket. The Reylight Pineapple flashlight features a 219C LED and 4000K Nichia which means that it can deliver the highest CRI number. It is made out of brass, which is why it is quite heavy than other AA flashlights on the market today. The lens, on the other hand, is coated with AR and as well as an aluminum alloy orange peel. You can easily control the switch, which is located on the tail of the flashlight. This Reylight Pineapple flashlight can work on both AA battery and 14500 battery, depending on your preferences. If you want to increase the lumens, then you can use the 14500 battery. The Thrunite Archer 2A V3 NW uses a CREE XP-L V6 LED, which can emit a total of 430 lumens and a maximum beam distance of 161 meters. The LED emits a neutral white light and a patterned beam which ensures excellent visibility. It is also available in cool light if you don’t feel like using white light. 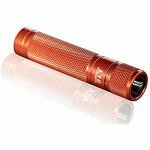 This flashlight is made out of the aerospace-grade aluminum body, which makes it durable. The Thrunite Archer 2A V3 uses two buttons to switch the light on and activate the momentary. Its buttons on the side will help you use the four different brightness levels, and activate the strobe mode as well. Lastly, this flashlight can use 14500 or AA batteries, depending on your preferences. The Fenix E25UE is equipped with an ultra-bright light and is powered by two double A batteries. It is using a CREE XP-L LED, which can emit a total of 1000 lumens and a distance of 200 meters. You can choose to use Alkaline AA batteries or two Ni-MH depending on your preferences. One of the best features of this flashlight is that intelligent drive circuit, which will detect the batteries that are being used and completely alter the levels of output accordingly. Another good thing about this battery is that is has a switch side to help you with all of its operations. You can cycle through five different brightness modes and two different special modes. The Fenix E25UE is made out of aircraft-grade aluminum and an anti-abrasive finish, while the lens has a coating that’s anti-reflective. The Armytek Prime A2 V3 is using a CREE XP-L White LED which can produce a total of 850 lumens. It has a peak beam of 5080 candelas and a maximum beam distance of 143 meters. This flashlight has a TIR-Optic which will give you a beam with 80-degree spill and a total of 20-degree hot spot. Also, the flashlight is powered by two double A batteries. One of the best things about this flashlight is that it has a low battery indicator, auto-memorization, and a multi-color LED indication. When it comes to the switch, it is located on the side of the flashlight so you can easily use it when needed. With the powerful electronics used in this flashlight, you can surely enjoy constant brightness. Lastly, with the magnet that this flashlight has, this means that you can attach it to any iron surfaces. 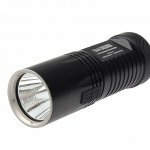 The Nitecore EA41 is using a CREE XM-L2 U2 LED and can produce a total of 1020 lumens for an hour and forty-five minutes. It is also using a Precision Digital Optics Technology to ensure that it will deliver optimum performance and a beam distance of up to 376 meters. 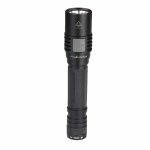 This flashlight is powered by four double A batteries and provides you with brightness levels, including strobe, beacon, and SOS modes. One of the best things about this flashlight is that it comes with two switches, wherein you can use it to change between modes or to turn your flashlight on and off. It also has a power indicator so you will know the remaining power that the battery has. Lastly, with its mineral glass lens and a military grade body, your Nitecore EA41 will surely last for long periods of time. The Coast Polysteel 600 has a bright beam to ensure optimal far and up close illumination. This flashlight uses an Ultra View Flood Beam which is combined with Bulls-Eye Spot Beam. It has a maximum beam distance of a total of 234 meters and a diameter of 11.5 inches in diameter as well. You can easily shape the beam by twisting the flashlight’s head. This Coast Polysteel 600 is made out of stainless steel and a fiberglass-reinforced polymer body. The durable body that it has will make sure that your flashlight will survive a three better drop. You can also submerge it in the water for a maximum of an hour without any damage at all. Lastly, this flashlight has a maximum brightness of 710 lumens. 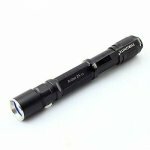 One of the reasons why you should carry an AA flashlight is because it is easy to use. 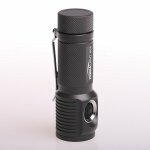 Typically, flashlights like this have different functions and modes, and they are extremely easy to use. The reason behind this is because sometimes they are just located in just one single button and you have to cycle through them to get the mode that you need. Another reason why you should carry an AA flashlight is that it is very convenient. 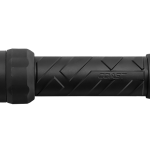 If you are just carrying a flashlight for everyday use, then you don’t have to worry because typically, this is just a small and lightweight. There are also AA flashlights that are pocket size, which can work the same way as the big ones. So there’s no need for you to worry about adding weight to your bag or your pocket. Even AA flashlight has the power to keep you safe especially during the night. When you are walking your dog or running at night, your flashlight can be a great companion. It can light up the path that you are heading so you can check if there is something unusual. In this way, you can avoid it and keep yourself safe. If you get lost, the flashlight can help you get back on the right path because you’ll be able to illuminate the areas that you’re walking on to. The flashlight can also act as a self-defense tool. With the brightness of the flashlight, you can easily blind your attacker. Typically, flashlights with a minimum of 60 lumens can already blind an attacker temporarily giving you ample time to run. Plus, it is legal to carry a flashlight, so you don’t have to worry about anything. Flashlights can also be used to prevent any fighting by shining the light to their eyes. Instead of fighting with an attacker you can just blind him and run to avoid injuries that can even be fatal. Things can go missing even in your own home. Your wallet can go under your bed accidentally, and it can be dark in there. The best shot is to use a flashlight so you can easily find whatever it is that you’re looking for under the bed. You can also check in the closet if you’re looking for something there. Of course, you will surely love to have a flashlight with you during power outages. Whether you are at home or you’re in the hotel, a flashlight will come handy when the power suddenly went out. You’ll be able to walk through the room without bumping to other furniture and bruising yourself. You shouldn’t rely on your smartphone’s light because the battery might run out and you won’t be able to use your phone for emergency purposes. The size of the AA flashlight is essential when purchasing one. You need to choose one that you can carry easily, especially if you are going to use it as your primary flashlight or a backup one. You can opt for smaller flashlights are convenient and portable, but they can be challenging to find when in the dark. 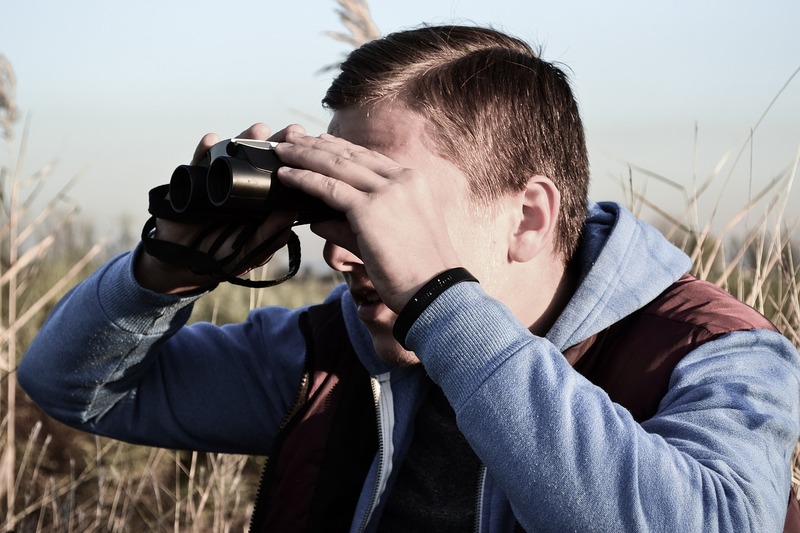 You may opt to choose a bigger flashlight as this will help you to find it easily even in the dark. But due to its size, it may be too bulky for your pocket, so you need to put it in your bag. But remember that bigger AA flashlight tends to be more durable than the smaller one. Majority of the flashlights today are made out of plastic, and this is usually okay if you are not going to use it often and if you are o a tight budget. 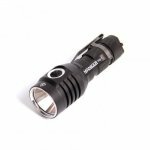 But if you are going to use your flashlight for tactical or more massive use, then you should opt for a flashlight that is made out of stainless steel and one that is made out of high-grade aluminum. These materials will make sure that your flashlight will last long. Also depending on how durable the materials are, your AA flashlight may also be impact resistant and water resistance. Flashlights today have one button that can do all the operations needed. This can help you to turn the flashlight off and on or change through the different brightness modes in just a single click. A one-button flashlight is helpful especially if your other hand is carrying your bag or other things. There are also flashlights where you can twist the head so you can turn it on and off. The quarter will help you toggle between the different brightness modes available in your AA flashlight. The beam is the brightness of the flashlight that is being measured in lumens. So the higher the maximum lumens are the brighter the light of your flashlight. The lumens will also help in knowing the distance on how far the beam can go. Lastly, the output of the flashlight will dictate the total runtime until the life of the battery runs out on your flashlight. The beam distance, on the other hand, is the distance on how far the light can go. For instance, your flashlight can have high lumens, but the beam distance can be shorter. This can mean that the flashlight is using a flood beam. Now if the flashlight is producing high lumens and a longer distance, this means that it is using a spot beam. This can also happen if the flashlight only has lower lumens but longer distance. One of the main benefits of using an alkaline battery on the flashlight is that they provide higher energy density compared to rechargeable and primary batteries. This means that your flashlight will produce more light and can last for an extended period of time. There are also rechargeable alkaline batteries and has more than three times the capacity equivalent to nickel metal or nickel cadmium hydride batteries. The longevity of the flashlight will also be relied on if you are going to use alkaline battery. The reason behind this is because this kind of battery has a longer shelf life compared to chloride type electrolyte. In fact, the battery can still be working for up to seven whole years, wherein only 5% of the total energy. This means that you don’t have to worry about running out of battery because that is quite next to impossible to happen. Another good thing about this battery is that it has the power to work even during low temperatures. You also don’t have to worry about it leaking before that will not happen as well. Another benefit of using an alkaline battery is that compared to lead-based and acid-based counterparts, the alkaline battery has less impact on our environment. You also don’t have to worry about disposing of it, because there are no special methods that you need to deal with just to dispose of the alkaline battery. The reason behind this is because the battery’s compounds don’t have any toxins that can pose serious health issues. 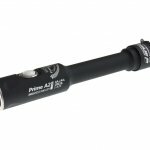 With the above information, you no longer have to go through hundreds of AA flashlights because the list above are the top 10 best AA flashlights in the market today. Just always remember that purchasing and carrying a flashlight will not only help you illuminate your surroundings when needed but also help you keep safe when you’re out running or during power outages.